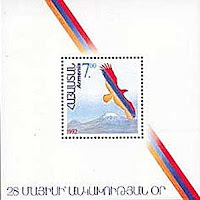 In 1992, Armenia issued a set and souvenir sheet celebrating its independence (Scott #430, 431). 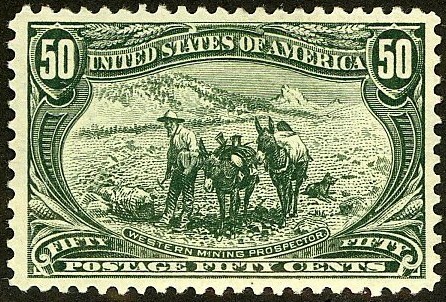 The set was issued as a strip of three stamps (Scott #430a-c). 100,000 strips and 20,000 souvenir sheets were issued, and Scott' 13 prices them unused at $4.25 and $ 50.00, respectively. I recommend purchase of both the strip and the souvenir sheet. These stamps were the first issued by Armenia as an independent nation in 70 years - since the Soviet takeover in 1922 - and they appeal deeply to Armenian nationalist sentiment.